A new study from the Center on Budget Policy and Priorities (CBPP) looks at state budgets cuts and college tuition hikes across the country over the past ten years. Kentucky Medicaid stakeholders were able to ask questions to the state's second-highest-ranking health official in Owensboro Thursday afternoon. It was the first of these public meetings after a judge blocked Kentucky’s Medicaid waiver program in June. Officials with Kentucky’s Cabinet for Health and Family Services (CHFS) planned to travel across the state every month to explain changes to its Medicaid program, but they cancelled their July meeting after a judge sent the waiver back to the federal government for review. In the last episode of RBH Season 4, Evan took responsibility for UK's and IU's loss, Kim and Wayne kept their calling streak, and Chad's grandma shared a hilarious story. You can connect with the show on Twitter by following @redbluehoops. 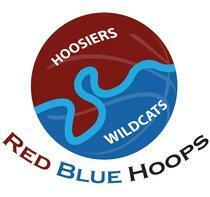 More information and previous shows can be found on the Red Blue Hoops page. Evan hosts from Nashville. Chad and Walker hold down the fort at Studio 2. An Illinois fan joins them in the studio. Geraldine the Cat makes her Season 4 debut. And Wayne calls all the way from Mexico. It's been a tough week for UK, but things are looking up for IU. Obsessive blue host Evan Beck and fanatical red host Chad Payton chat it up with regular callers and field questions from first time callers. To earn his keep, intern Walker joins the conversation in this week's episode of Red Blue Hoops.